So much of our world relies on the abilities of structural engineers. The buildings you work in, sleep in, and eat in, all rely on a structural engineer to ensure its security and update for any foundation repairs. You may wonder, why would a building need foundational repair? Though a well-built building can stand tall for thousands of years, such as Parthenon or the Colosseum. However, these buildings have only stayed intact due to natural and human help. Natural help, in that, a building built in a place of extreme weather or natural disasters will not survive. Much of the reason some of the oldest structures have survived is that the land around them has stayed fairly neutral for hundreds, perhaps thousands of years. For example, much of the reasons structures such as the Parthenon have survived is because it is positioned on top of a steep mountain. Because it is high up, difficult to access, and located in an area with little rainfall, the Parthenon stays relatively protected. The only element that poses a real threat to the structure is if wind eroded away the materials or if the mountain itself tumbled down. The only types of destruction that would face the building is if it were man-made. Humans play a huge role in the conservation and the destruction of important structures. Poor upkeep, too much foot traffic, and forceful destruction, can all lead to the decay of important structures. Historical buildings are well preserved today, as conservationists work to preserve the designs and the overall structure of buildings to ensure their survival. However, in some instances, some structures that were created before the advent of the geotechnical profession, have needed more help in order to preserve. For example, in the past, buildings were typically constructed near water sources. The issue with that is that soil that is mixed with water is not very stable. Because of this, many structures did not survive. Today, structures are kept stable no matter where they are, due to the science and technology that has been developed. To narrow the full scope of the profession, engineers must ensure that the land people wish to build on is safe and will be able to handle weight and use for years to come. Much of the goal with analyzing the soil for a building is to ensure that problems will not arise in the future that will completely destroy the structure, such as landslides, earthquakes, and natural structural decay. Geotechnical engineers are tasked with providing designs for structures that are not only stable, but will be able to handle pressure if, on the off-chance, a disaster does occur. If you are interested in getting detailed and precise information about the soil you would like to build on, entrust your project with us, CMI Structural Solutions. 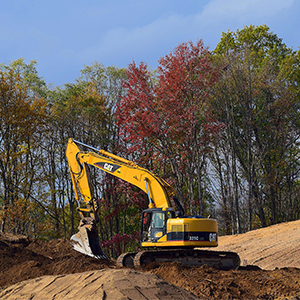 Not only will we be able to tell you if the land is safe, we will be able to structurally protect your building with piles, anchors, and underpinning systems. All of which will help your building stay protected against the elements, unforeseen disasters and natural decay. 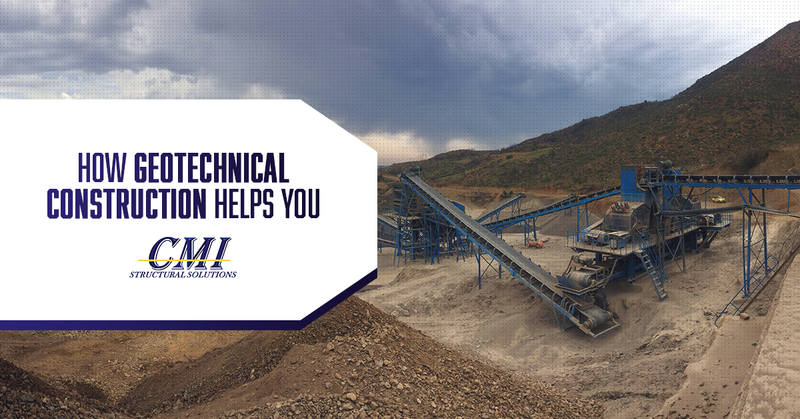 We at, CMI Structural Solutions, have been in the business of geotechnical construction for nearly 20 years and have a reputation that precedes us. Our service provides real solutions for infrastructures around Northeast United States. If you are interested in creating a safe structure, contact us today!